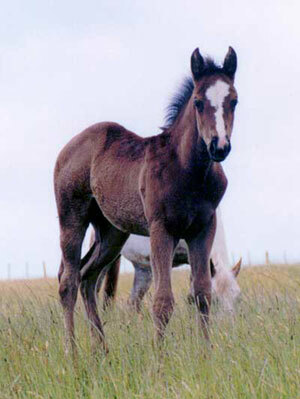 Gorgeous black Appaloosa/QH filly born 18 October 2004. Born completely black, a few white hairs started to appear at 11 months old. Blue has smooth, straight movement, plenty of natural curiousity and - despite being a large part Quarter Horse - that lovely placid and easy-going Appaloosa nature. 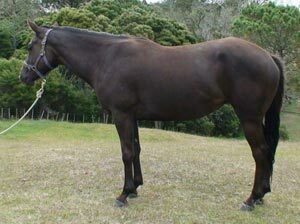 Like her dam, she's a very clever horse and very responsive. 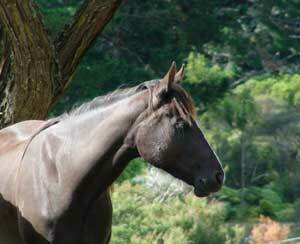 Now owned by Jan Hutcheon and living in Wanaka.